Disapproving view adopted by many High courts in the matter of interpretation of Section 34(5) the Arbitration and Conciliation Act, the Supreme Court has held that the requirement (under Section 34(5)) of prior notice to the other party before filing an application to set aside an arbitral award is a directory. By an amendment brought in 2016, a subsection (5) has been inserted to Section 34 of the Act, which states that application to set aside arbitral award shall be filed by a party only after issuing a prior notice to the other party and such application shall be accompanied by an affidavit by the applicant endorsing compliance with the said requirement. The Bombay and Calcutta high courts held that the provision is directory, largely because no consequence has been provided for breach of the time limit specified. The high courts of Kerala, Himachal Pradesh, Delhi and Gauhati have all taken the view that Section 34(5) is mandatory in nature. The Patna High Court’s view in this regard, which also held that the provision is mandatory, was challenged before the apex court in State of Bihar vs. Bihar Rajya Bhumi Vikas Bank Samiti. Senior Advocate Nagendra Rai, appearing for the state, contended that Sections 34(5) and (6) form part of a composite scheme, the object of which is that an application under Section 34 be disposed of expeditiously within one year. He argued that as no consequence is provided if such application is not disposed of within the said period of one year, the aforesaid provisions are only directory, despite the mandatory nature of the language used therein. On the other hand, the Senior Advocate on behalf of Samiti contended that despite the fact that no consequence has been provided if the time period of Section 34(6) goes, yet, an application that is filed under Section 34 without complying with the condition precedent as set out in Section 34(5), is an application that is non est in law. He also told the bench that the vast majority of high courts have decided in favour of the provision being construed as mandatory, the only discordant note being struck by the Bombay High Court. 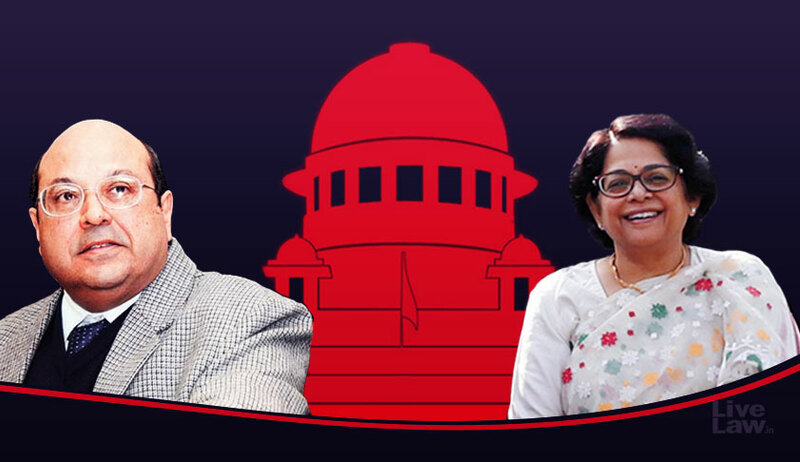 Contrasting Section 34(5) with Section 80 of the Code of Civil Procedure, the bench of Justice RF Nariman and Justice Indu Malhotra observed that unlike in the latter, the infraction of the former leads to no consequence. “To construe such a provision as being mandatory would defeat the advancement of justice as it would provide the consequence of dismissing an application filed without adhering to the requirements of Section 34(5), thereby scuttling the process of justice by burying the element of fairness,” the bench said. The bench also took note of Section 34(1), in which the only requirement for filing the application for setting aside an award be in accordance with sub-sections (2) and (3). “This, again, is an important pointer to the fact that even legislatively, subsection (5) is not a condition precedent, but a procedural provision which seeks to reduce the delay in deciding applications under Section 34,” the court added.